What to do? I choose to fall back on what I know, buying the two bs that never let me down: beauty stuff and books. This guide is about the first bs, and I’ll start with another b within that realm: beard stuff. 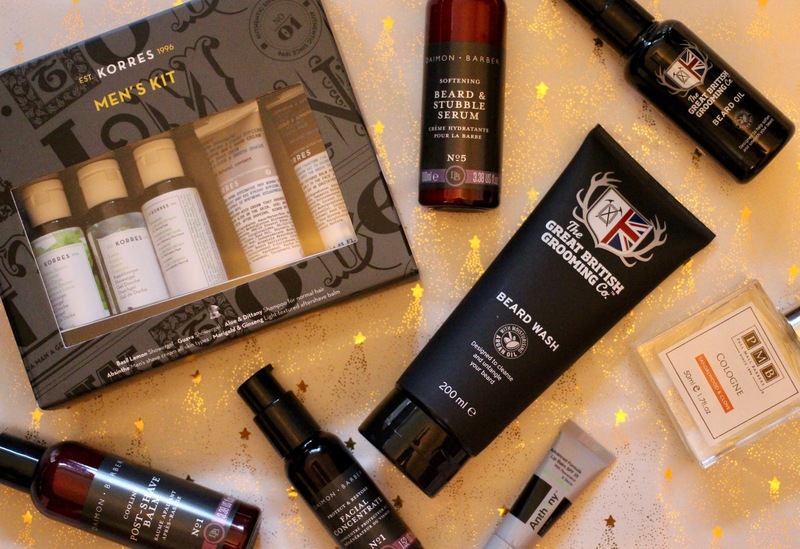 If you, like me, have a bearded man (or indeed proudly bearded lady – let’s not rule that out either) in your life, I can tell you that The Great British Grooming Co Beard Wash and Beard Oil are sound purchases, as is Daimon Barber’s Beard and Stubble Serum. For the man who likes to nix himself of his facial hair, grab the Daimon Barber Post-Shave Balm to soothe and heal nicks. While on Daimon Barber – and, yes, I am a huge fan as is abundantly clear given the many recommendations in this post – I’d also really recommend their Facial Concentrate – it softens and smells pleasingly ‘masculine’, which makes for a good introductory skincare product for the man who is a little wary of such things (cliche though it may be, I do know such men and suspect you may too). Pall Mall Barbers make a Sandalwood and Clove Cologne, which I’ve bought for two members of my family as it has a pleasing price tag and smells woody and spicy without being cloying. If buying for a man who travels on business a lot, Korres Men’s Kit will be appreciated – the set of five minis is an introduction to their excellent skin and body care, and all the minis would easily fit into a clear plastic bag to make it through as hand luggage.